Feeling lucky punk? No? Well you should! 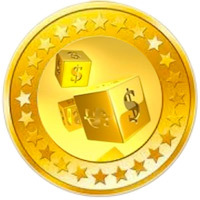 LuckyCoin offers super lucky blocks, where your reward can be x2 ,x5 and even x58! That’s not the best part though. The best part is we’ve designed this coin with fairness in mind. That’s why we developed an accelerated difficulty adjustment algorithm. The difficulty will be adjusted much faster in the beginning, so if high hash power jumps on, it will rise much faster than normal. The difficulty will be retargeted about every 4 hours (block time). We are confident this can combat high hash botnets from orphaning all of us. A new difficulty adjustment scheme with 20 minutes (block time) retarget time and a 25% maximum difficulty adjustment starts at block 69360.